Its definitely glove season if you are planning on doing anything outdoors. Good gloves, socks, and headwear making for a much more enjoyable experience, especially if the wind is blowing and a bon fire is not within your proximity. 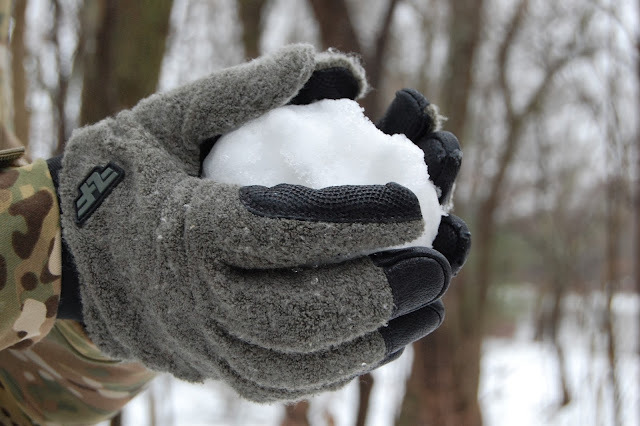 The Gear Locker has shared with us their latest review featuring Line of Fire's Wookie FR Winter Gloves. A few years ago, I was asked by an exhibitor SHOT Show if I would try a pair of gloves. The vendor was Line of Fire, and I was going to test their line of gloves and their grip tape, The TEGS System. I was amazed that the pipe that I was holding was unable to be ripped from my hands. I knew that I needed to get a set to review. Well, after many, many emails back and forth, TGL was lucky enough to receive Line of Fire’s Wookie FR Winter Gloves. 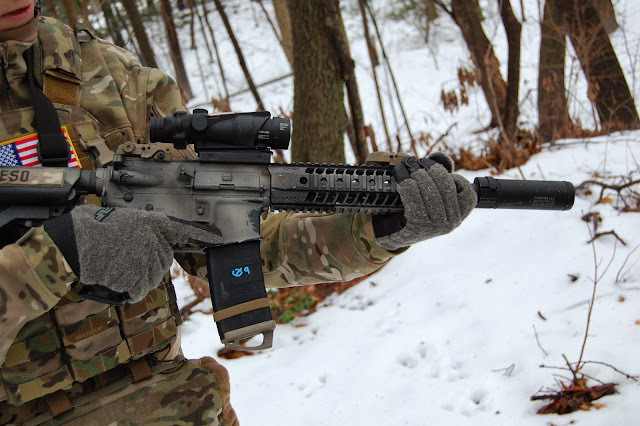 The Wookie Winter Gloves are part of a two-part system that Line of Fire has invented that will help you retain your weapon, or object during a struggle or if someone it trying to rip it from your hands, We also received a small roll of their TEGS system. We received enough to wrap two of our pistol grips on our Airsoft M4 Rifles. The gloves that we received were sage/green in color and top of the glove gave way to their name, Wookie. They have a resemblance to a certain character from the movie Star Wars. The gloves themselves are extremely comforable and when you add the TEGS tape, make a great system. We tested the gloves and the tape in both wet and dry conditions and everything in between. The gloves have worked great in temperatures that are cool to cold and even below freezing. Another very nice benefit is that the Wookie gloves have FR properties to help those that need them in areas where they are in harms way.